It is located at an altitude of almost 700 metres at the top of a plateau, next to the lush slopes of Mount Acuto, which gives a name to the territory to which the village belongs. Alà dei Sardi, a village with less than two thousand inhabitants, an enclave in the Logudoro area of Gallura, is part of a 'mosaic' made up of rugged, silent granite elevations with bizarre sculptures shaped by the wind, forests of holm oaks and oak trees, the kingdom of the mouflon and the eagle, staggering valleys with streams forming little lakes and the waterfalls of Su Fosslu Malu and flat dirt roads with stretches of Mediterranean scrub, where the trials for the Rally d'Italia Sardegna, a round of the world championship, takes place. 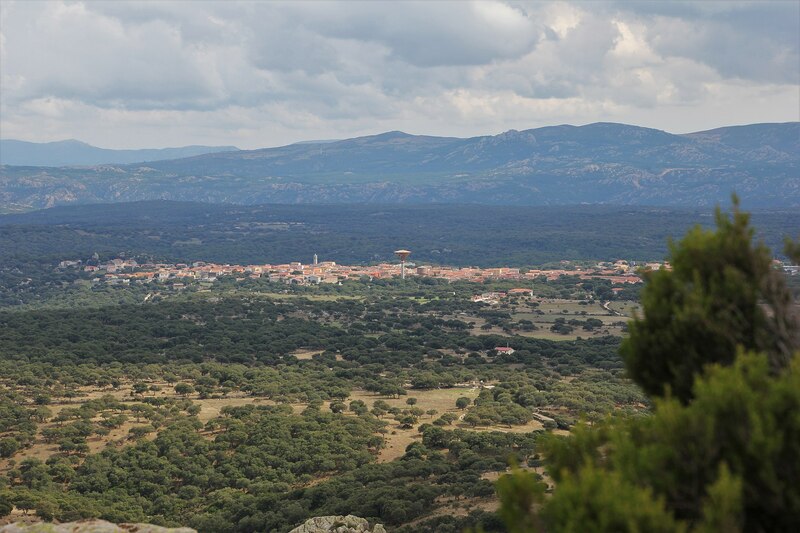 From the village, you will see the Gulf of Olbia and the majestic outline of Tavolara and from the forest of Lithos, the mountains of Barbagia. The first document to acknowledge Alà dates back to 1106. The name may have Paleo-Sardinian origins, linked to the Basque alha, meaning 'pasture', referring to the extensive pastures. Other possibilities may be the Latin ala - a roman army was stationed in the area - or the Punic word meaning 'placed high up'. The 'dei Sardi' specification was assigned by regal decree in 1864. 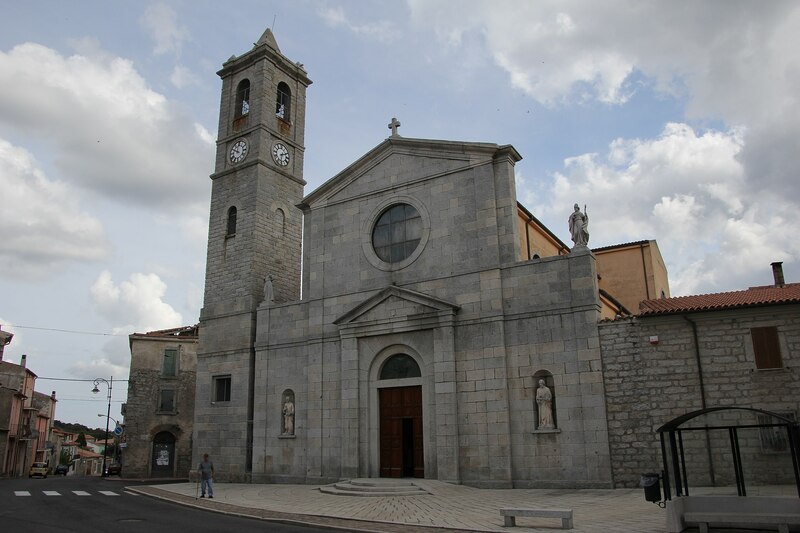 The present-day village emerged in the 17th century around the Church of Santa Maria (1619), which was rebuilt between 1880 and 1961, becoming the parish church of Sant'Agostino. The façade is made of granite, enriched by statues of saints, while the majestic seventeenth-century mosaic of Our Lady of the Rosary is kept inside. 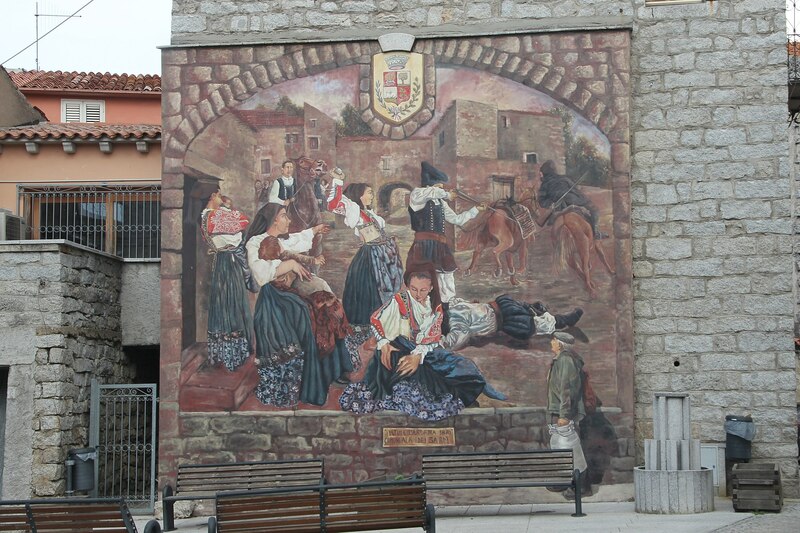 The patron saint is celebrated at the end of August with religious celebrations and associated folk performances, where the splendid traditional costumes of Alà are on show, and the ham festival. The historical village centre is made up of houses and little buildings with 'austere' granite façades and wrought iron fixtures. In this setting, along the narrow streets, you will see unexpected granite architecture pop up: the wells of 'E Mesu Idda and S'Oltu Mannu, old town hall and small castle of the Dessena family. On the façade of Palazzo Corda (1850), 'the castle', a mural commemorates the last bardana (1870), meaning looting at the expense of the wealthy. 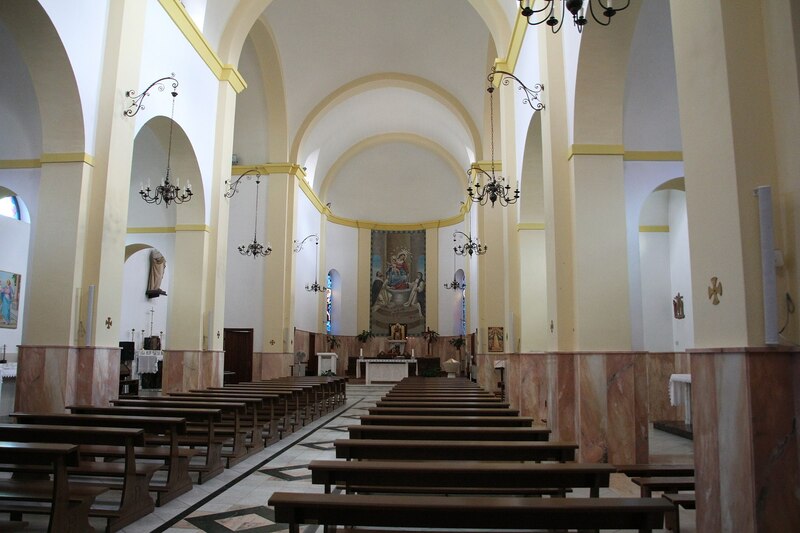 Other churches in the centre are San Giovanni Battista and Sant'Antonio da Padova. Two kilometres from the village, in the Sanctuary of San Francesco d'Assisi, the origin of which is linked to legend, a celebration takes place early in October and attracts ten thousand worshippers. The processing of cork, granite and stones by the famous maistos of Alà is the main resource of a village undergoing considerable development since the year 2000, and boasts (with Buddusò) the largest wind farm in Italy. The centuries-old agricultural and pastoral tradition is still alive, with renowned products: beef and honey. The territory was already inhabited in the Neolithic age. The greatest evidence is Nuragic: almost twenty sites, including towers, villages, tombs of Giants and sanctuaries. 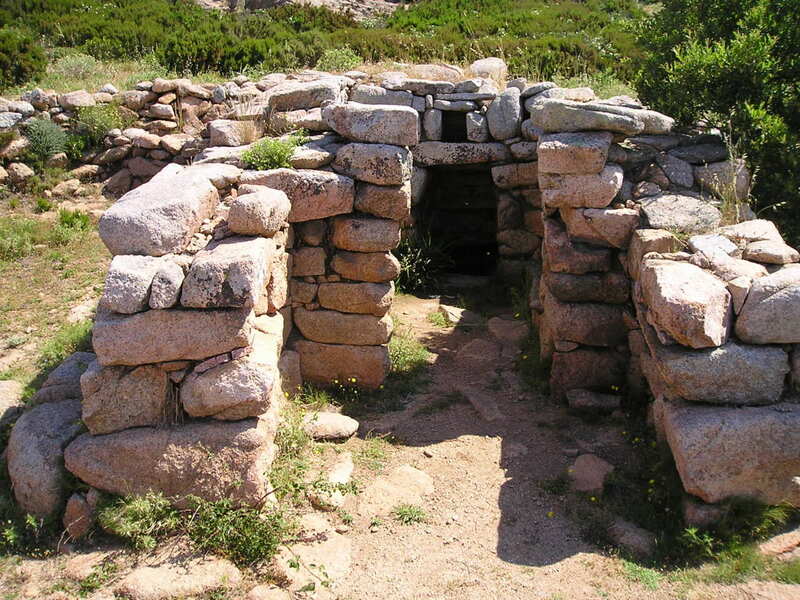 The main ones are Sos Nurattolos, dating back to the Iron Age, consisting of a sacred fountain, meeting hut, sanctuary and dwellings; the well-preserved nuraghe Boddò, and the village of Su Pedrighinosu, with circular buildings and a forge. The site was later inhabited by the Balares, a non-native rebellious people. Balare and Alà are phonetically similar and this is not a coincidence, if you consider that in the local dialect of Alà the 'b' at the beginning of a word is typically dropped.